Like many of his generation in Europe, Jannis Kounellis (b. 1936) experienced war at close quarters throughout his childhood; first during the German Nazi/Italian Fascist occupation [subjugation] of Greece, and then the civil war that erupted in the power vacuum when the occupiers were defeated in 1943. One of the first Cold War conflicts, the war lasted until 1949, when Kounellis was 13 years old. 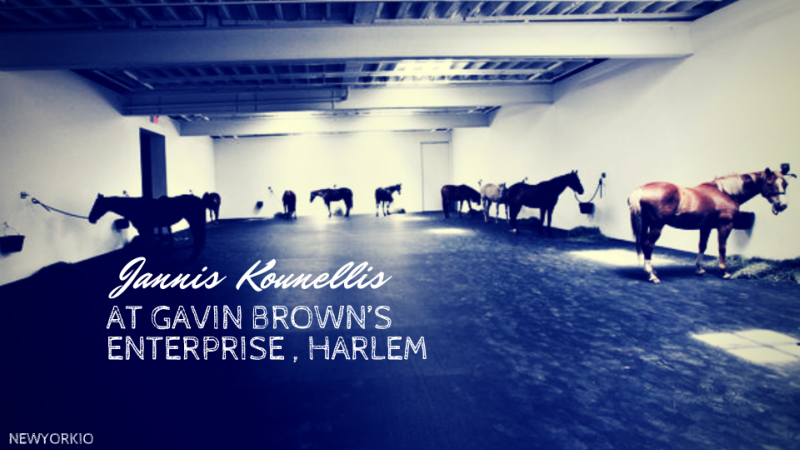 Seven years later in 1956 at the age of 20, Kounellis left his native Piraeus and moved to Rome. Kounellis’ art is a brutal moral insistence but also an affirmation of freedom. Jannis Kounellis first came to prominence in the late 50s with his Alphabets, expanses of color with letters, numbers, typographical symbols and road markings superimposed. 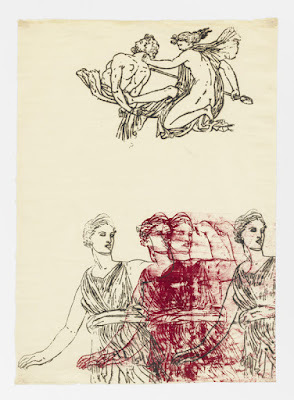 In 1967, he became associated with Arte Povera; his work characterized by the use of real, concrete objects of a place or community, such as clothing, furniture, and ships, as well as living organisms. His work appeared in key exhibitions as Live in your Head. When Attitudes Become Form, Kunsthalle, Bern; Arte Povera: 13 italienische Künstler, Kunstverein, Monaco (1971); '60-'80: attitudes / concepts / images, Stedelijk Museum, Amsterdam (1982); and Transformations in Sculpture. Four decades of American and European Art, Solomon R. Guggenheim Museum, New York (1985). Most recently, his installation Untitled (12 Horses) was presented at Gavin Brown’s enterprise in 2015.